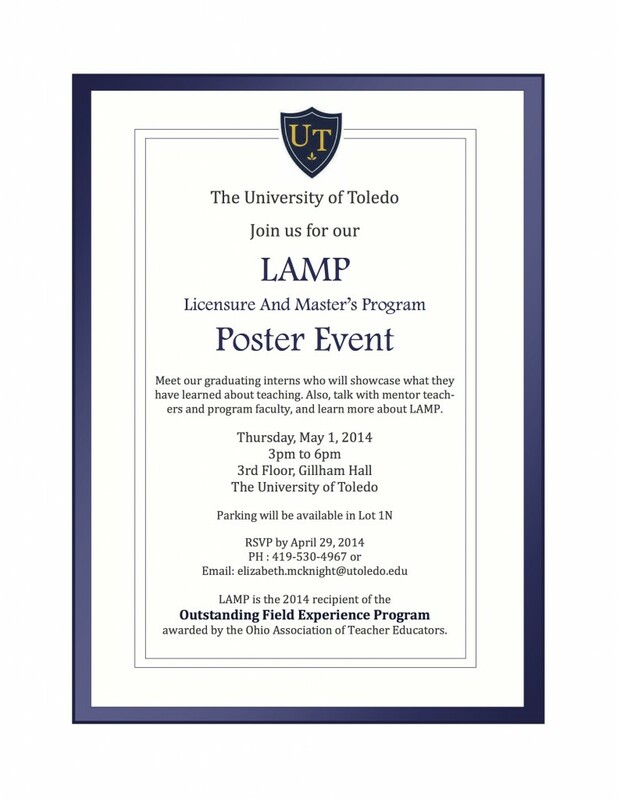 We hope you can join us on Thursday, May 1, for this year’s LAMP Poster Event. The event will take place from 3-6 pm, on the third floor of Gillham. This poster event will give our interns the opportunity to share what they are learning about teaching content. These interns have been in their classrooms working intensively with students for many weeks. Now we are asking them to share ideas about what they have been learning as they respond to the guiding question, Who am I as a teacher of content? Faculty and administrators from the College of Natural Sciences and Mathematics, the College of Languages, Literature and Social Sciences, and the College of Engineering will be joining us. You will also have the opportunity to talk with area superintendents, principals and mentor teachers about their experiences working with LAMP Interns. 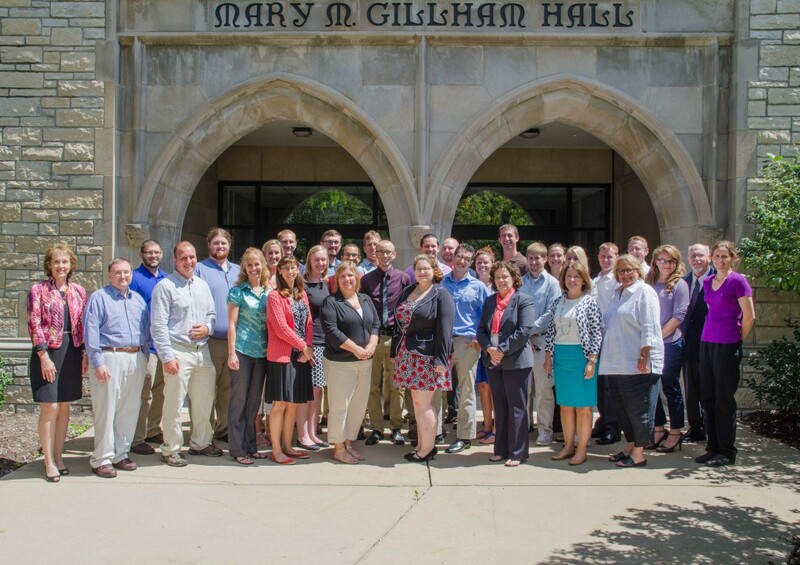 The Ohio Association of Teacher Educators recognizes the one-year LAMP as the Outstanding Field Experience Program. The Judith Herb College of Education’s one-year Licensure and Master’s Program (LAMP) was designed by Drs. Rebecca Schneider, Jenny Denyer and Virginia Keil. They created a well-designed program that puts into action the best ideas about teacher preparation. LAMP integrates theories about learning and education with the practice of teaching. The program is designed to meet the needs of already degreed adult learners and is a comprehensive graduate program for those wanting to earn a license in either middle school (grades 4 -9) or adolescent to young adult (grades 7-12), along with a master’s degree in education. Are you looking for continuing education courses for the Summer? The Judith Herb College of Education is offering a wide variety of courses beginning on May 12. Please download the attached PDF file for a complete list.